2" heavy duty snap hooks are ideal for attaching street banners to cables. Work perfectly with grommeted vinyl and mesh banners. 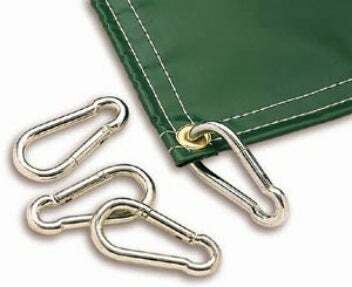 ORDER QUANTITY REPRESENTS 1 SET OF 4 BANNER HANGING CLIPS (quantity 1 = 4 clips).